TUESDAY, April 11, 2017 (HealthDay News) -- In a significant shift, a key health advisory panel plans to soften its recommendation against prostate-specific antigen (PSA) screening for detecting prostate cancer. In 2012, the U.S. Preventive Services Task Force recommended that men no longer get their PSA tested. That recommendation was based on evidence that PSA screening resulted in overdiagnosis and unnecessary treatment that could leave men impotent and incontinent. Now, after reviewing follow-up evidence, the task force is recommending that men aged 55 to 69 have a discussion with their doctor about the pros and cons of PSA screening. For men aged 70 and older, the recommendation for no PSA screening remains in place. "There is probably a small benefit overall to screening," said task force chair Dr. Kirsten Bibbins-Domingo. She is a chair in medicine and a professor of medicine, epidemiology and biostatistics at the University of California, San Francisco. "But the right decision is not a one-size-fits-all decision. The right decision isn't screening all men, it's making all men aware of the benefits and harms, and then allowing each man to make the best decision for himself," Bibbins-Domingo explained. The draft recommendation was published on the task force's website on April 11, and it is open to public comment until May 8. After the comment period ends, the task force will consider the input and come up with its final recommendation in the following months. The recommendation applies to men who have not been diagnosed with prostate cancer and have no signs or symptoms of the disease, Bibbins-Domingo said. In addition, the recommendation is for men at average risk and those at increased risk for prostate cancer, such as black men and men with a family history of prostate cancer. Men at increased risk for prostate cancer should take that into consideration when making the decision to be screened for PSA levels, she said. One specialist views the new recommendation as a correction of an error the task force made in 2012. "It's a step forward," said Dr. Anthony D'Amico, a professor of radiation oncology at Harvard Medical School. The more you follow the studies that look at the benefits of PSA screening, the more positive they are becoming, he said. Because prostate cancer takes many years to develop, the benefit only becomes apparent 10 to 20 years after the start of a study, he explained. Based on longer follow-up of studies, "the task force is backing off from, 'Do not screen,' to 'Let's talk about it,' and then, I would say, in time, it will probably come to, 'We think you should do it,'" he said. "I applaud the task force for being open-minded enough to look at the evidence as it accumulates and to change their mind," D'Amico said. The PSA test measures the level of a protein that, when elevated, can mean prostate cancer is present. But PSA levels can be elevated because of other benign conditions, such as an enlarged prostate or an inflammation of the prostate. 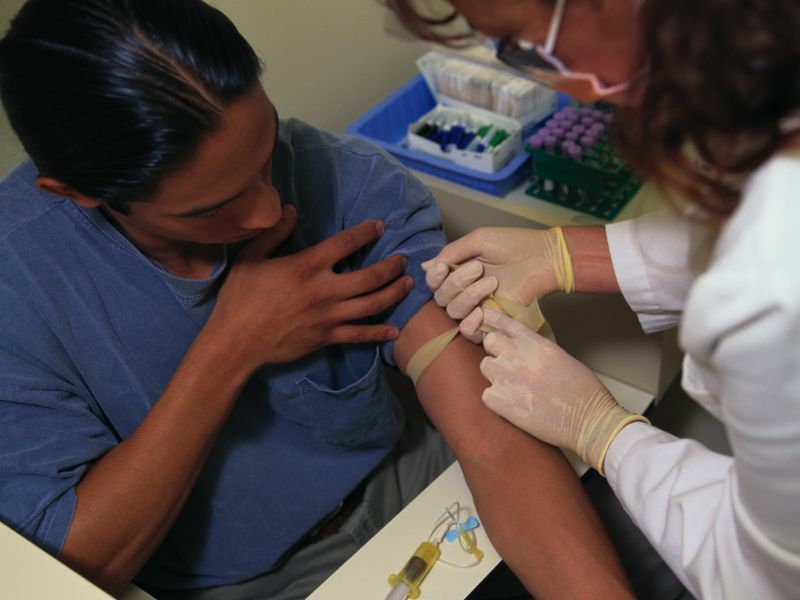 Most men with a high PSA will undergo a biopsy to determine whether there is cancer. Men with prostate cancer may be candidates for surgery or radiation. For many men, however, prostate cancer is slow-growing and takes many years to become life-threatening. For these men, the task force recommends withholding treatment and monitoring the cancer until it requires treatment. According to Bibbins-Domingo, PSA screening can reduce the chances of dying from prostate cancer by catching it before it spreads to other parts of the body. While these benefits may take 10 years or more to see, the harms from screening and treatment are immediate, she noted. Harms of PSA screening include false-positive readings that result in repeated blood tests and biopsies. The harms of treatment can include sexual impotence and urinary incontinence. Instead of treatment, many men with low-risk prostate cancer can opt for active surveillance, which may reduce the chance of overtreatment. It may also delay treatment and its complications, or avoid treatment completely, Bibbins-Domingo said.